Hi my pg and vg is coming as a 70/30 mix. When using the calculator do I just add the vg and pg together to add in ml. i would just like to say thanks for this calculator, I’ve been trying to follow recipes online but couldn’t understand ho many drops etc i would need to use for %, this helps me greatly. is there a downloadable version available? I have a 25mg/ml nicotine 100% vg base. And I bought a bottle of 0 nicotine 100% vg base. I want to make a 30ml bottle of 3mg/ml nicotine strength juice. How much nicotine should I use? I just wanted to say thank you for an easy to understand and execute e-liquid calculator. Its people like yourself helping others who really make a difference. What’s the ideal flavor percent? That depends on the specific flavor concentrate and the PG/VG ratio. The more VG the more flavor needed to get the same intensity of taste. Usually the flavor percent can be somewhere between 2-10%. What would you guys recommend if I’m using a high 70vg/30pg or even 80vg/20pg mix for my flavour concentrate, 10-12% maybe? Is there an option that I’m missing if you use both pg and vg flavors? Just want to thank you. You’re online calculator has so far been the easiest to follow and thanks to you, I have just made my first liquid. Hi Chris, I try and help as much as I can but I make no profit from this calculator and do have a day job! happy mixing. 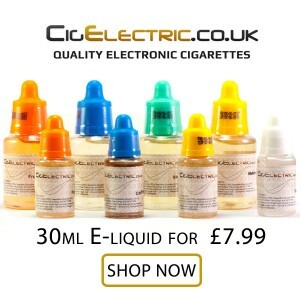 So my wife, who is not a vapor bought me 4 30ml bottles of 0mg ejuice…I do like the flavors, how can I turn them into 18mg juice by adding nic to them, without diluting the flavor to much….I would really appreciate an answer, as all the ejuice calcalator sites are so confusing to me…thanx! If you have some nicotine you can use this calculator to add enough to make 18mg. The stronger the nicotine base the less diluted they will be to preserve the flavour. I do not understand how to use this calculator to add nicotine to already made e-juice that is 0mg nic. Can you please explain how to do this on the calculator to me? I would really appreciate the help and understanding. if the flavour is not strong enough you may just need to add more. It is best to make small batches until you have a good recipe, then you can make larger mixes. E-liquid should be ready as soon as you have mixed it but will develop over time, however the strength of flavour probably wont change to much. Hello such am beginner and want to make a liquid with 70% and 30% PG VG with 3mg of nicotine, nicotine buy 50/50 basis with 3 mg of nicotine. I have to put as much nicotine for a 15ml bottle? I forgot to tell u this Benji. Ive used your calculator for about 3 months for my small business ejuice in my place..THANK YOU SO MUCH!!! ITS REALLY HELPFUL AND EASY TO USE!!! I make my own juice and on most calculations it shows the adding of water to the mix can you tell me why you would add it please ! Need a little help…..I have a bunch of 3mg juice that is 80/20 max vg. I purchased nicotine from wizard labs that is 4.8%-48mg/ml with a solution balance ratio of 100%vg. How much would i need to add to a 50ml bottle or a 120ml bottle to increase the nicotine from 3mg to 6mg? I’m new to this also. I bought a nicotine mix of 50/50 at 24 mg and some flavors. I’d like to make 15ml at 8 mg of strength. Can you help me? To make 8mg strength from 24mg, you will need to use 33.3% in the mix (5ml of nicotine base) you can then add some flavours and some PG/VG to fill out the mix. three flavoring and a 6mg nicotine. I really have no idea on how to use the calculator. What should I do from the start of the calculator. could you please help me out in a simple way that i may understand. Thanks in advance Sir and have a nice day. Can you shed any light on how much of the drops I’d need to put in with that please? Great calculator! This is my go to site! Thanks alot! Hi benji can u plz tell me what the difference is with pg and vg nicotine bass thanks Neil. flavouring and it will make 40ml is this ok to do? PG% = is what you want the PG /VG ratio of the final mix to be. This is normally anywhere from 20% to 70% PG. drops per ml = Only needed if you are using drops to measure your amounts. You will need to work this out depending on the dropper you are using. Take 1 ml of liquid, drop it through your dropper and count how many drops there are to push out the whole 1ml, This is your drops per ml value. hi benji I cor seem to get my head around it lol I want to make up 40 ml in total. with 18ml nicotine strength. so can u plz tell how many ml of each I need to put in to make this quantity using 72mg of nicotine base in vg. thanks neil. Hi there..newbie here..i juat cant understand how to use the calculator..i wanna brew 50/50 pg/vg and 6mg nic..can help me how to use the calculator? when you are using the “more than 1 flavour?” set to “yes”, you can input the % of each flavour you want to use. If you set flavour 1 to 5% and flavour 2 to 5% you will have a total flavouring of 10%. Deciding on the flavour amount is where to the time, practice and refining your recipes come into play. Hi there,I’m after making 30ml of liquid with 10% flavour. The calculator works this out as 6ml of flavouring which is obviously 20%. Could you enlighten me, am i missing something? Hi, I live in Japan where it’s illegal for shops to sell nicotine directly, but legal for me to import for personal use. My concern is the shop I found directed me to a site where I can buy 99% pure lab grade nicotine. Needless to say this seems like a very dangerous thing to be handling, but out of curiosity do you know of any resources that can teach me safe handling and mixing. As it doesn’t have any PG or VG base I worry about shelf life, toxicity, and how to ensure it mixes properly into my solution so I get good distribution of nicotine throughout my mix. Honestly I’ll most likely seek a different source for weaker PG solutions, but I’m still curious to know if you have any experience or knowledge about using such high purity nicotine. Steering well clear until I know more. I would avoid this strength nicotine completely. You would need lab grade materials and knowledge to handle it safely. Perhaps you could enquire if this supplier could dilute for you. Hi there, I’m new to this mixing bizzo & a friend has been doing it for me but now I’ve found your calculator and without help am struggling.. hoping someone has the time to help me re this please? I have half a 50ml bottle of PG 100% nicotine at 4.8% (xxhigh), about 150 mls of vegetable glycerin and 2 x 30 ml bottles of doubler ejuice and a 5 ml doubler. I am on 4mgs nicotine and am making a friend a bottle at 8mgs.. This is the very best calculator for making e-juice that I have found anywhere on the Internet. Thank you Benji for making this available for our use. First attempt at making my own liquid. Made 50/50 mix lemon and lime but it has a nicotine taste. I made it to 10mg. Any help to get rid of that taste. Would seeping help get rid of that? steeping might help but if it is truly a taste from your nicotine then i would suggest finding a different supplier. At 10mg you should not be tasting it. It may also be just too strong flavouring, if this is the case try cutting the flavouring used by half and see how that affects it. all depends on the PG/VG ratio you want. No problem using max VG if you are dripping or using an RTA that can handle the thicker liquids. This is by a country mile the best and easiest calculator available, and many thanks for making this available. I made my own ‘juice’ last night for the very first time and although I haven’t tried it yet I am convinced that it will be perfect. I agree thank you so much!!!! I’m new in diy liquid, I heard that alcohol such as vodka can boost flavor and less steep is that true? and how much of amount will it be maximum for 30ml liquid? Yes, some people add alcohol or water to their mix, it will change flavour and throat hit, but I don’t think it should affect steeping. It all depends on the juice you are making. Generally creamy / custard and tobacco mixes will improve with steeping where fruity flavours will need less. It will always depend on the recipe so taste after mixing it then try it a week later. Want to steep fast? Crock pot on warm 24 hrs. hi just want to know ,.from a 36 nic 100% pg base what is the nic strength PER DROP,.what is one drop ???? This will all depend on the pipette / dropper you are using. you need to drop 1ml of liquid and count the drops. You will then know how many drops / ml. what isn the best flavor percentage to have so it would not be too strong ? This all depends on the flavouring you are using. some will work as little as 1-3% where other might need as much as 25%. Start low and slowly add more flavouring until you find your sweet spot. This will all depend on the flavouring you are using. I would recommend mixing up your 50/50 base then slowly adding flavouring until you find the right amount. The burning will be because you are using a too high wattage / voltage or your set-up is not feeding liquid quick enough to keep the wick saturated will liquid. Reducing the VG content will improve wicking.